Crossfit is an fitness training program and also an competitive sport created by Greg glassman. Crossfit is kind of combination of high-intensity interval training, Olympic weightlifting, plyometrics, powerlifting, gymnastics, girevoy sport, calisthenics, strongman. 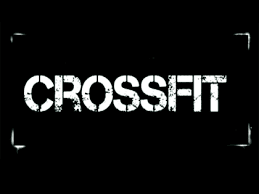 The goal of Crossfit is to attainultimate fitness by increasing the work capacity across broad time and different domains.Crossfit gym has equipments like barbells, dumbbells, gymnastics rings, pull-up bars, jump ropes, kettlebells, medicine balls, plyo boxes,resistance bands, rowing machines, and various mats. As said by Greg Glassman "CrossFit is not a specialized fitness program, but a deliberate attempt to optimize physical competence in each of 10 recognized fitness domains"Those domains are cardiovascular and respiratory endurance,stamina, strength, flexibility, power, speed, coordination, agility, balance, and accuracy.Workouts appeals to both men and women equally. It will be like a sport as there will be scoreboards,pre defined rules, stop clock and records to be beated which motivates you to perform more and attain perfect fitness. Workout sets to be performed in a day by an individual is called WOD (workout of the day). Below are sample of WOD followed, which differs as per your training.